Reps. Cathy McMorris Rodgers (R-Wash.) and Dave Loebsack (D-Iowa) recently intoduced H.R. 4229, the Protecting HOME Access Act, legislation to provide relief for home medical equipment (HME) suppliers in rural/non-bid areas with a strong roster of 53 original co-sponsors. The legislation would effectively roll back the second round of Medicare reimbursement cuts for non-bid area suppliers, effective retroactively to January 1, 2017 and through 2018. The legislation would also remedy rate cuts caused by an outdated 2006 budget neutrality offset balancing increased utilization for oxygen generating portable equipment with lower reimbursement for stationary equipment. HME companies in rural communities are struggling to maintain a high level of service and provide a range of quality products under this unsustainable pricing model that does not consider the extra cost and staff time required to serve patients spread over less densely populated areas. This legislation would allow home medical equipment suppliers to continue to serve these communities, giving seniors, people with disabilities, and individuals with chronic conditions the ability to remain in their homes and lessen the need for hospital stays and other costly clinical interventions. You can see the bill language here (link). 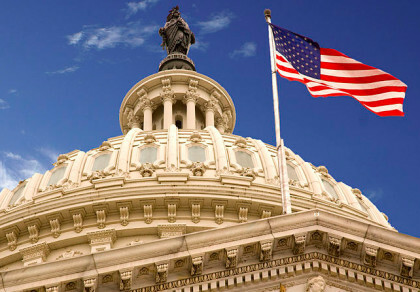 Our champions on Capitol Hill have asked the HME community to help recruit more co-sponsors for this legislation to send an unmistakable message to Congressional leadership that these fixes are an urgent priority for HME providers and the patients we serve. Please send a message to your Representative in the House asking that they co-sponsor the bill, and encourage your colleagues, peers, and friends to do the same. Feel free to add your own perspectives to the sample email to your Representative that follows. Before you send your message, please check to see if your member has already joined the growing list of co-sponsors for this bill here (link). In that event, you can use this link (here) to send a "thank you" note to your legislator. Thank you for supporting better public policy for HME providers and patients!